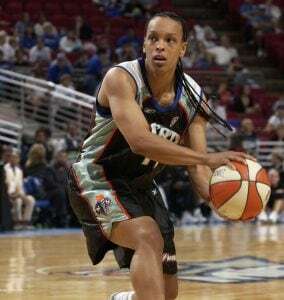 NEW YORK, NY – September 28, 2018 – For WNBA players, grinding year-round is a collective trope. And since the season has ended, many of the athletes are already making moves off court. 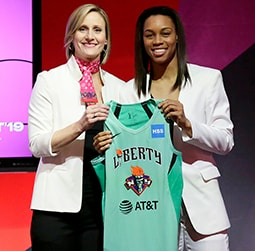 While it’s a widely known tradition for players to earn money overseas, New York Liberty forward Marissa Coleman and others are pursuing business ventures that will propel them forward financially after their playing days are over. “People probably think I’m crazy, but my ultimate goal is to become the Magic Johnson of women’s basketball,” Coleman said. “He thought about his post-playing career while he was still playing. Magic went from part-owner of the Lakers to starting and building up his own investment company, Magic Johnson Enterprises. And she’s already started the path. Coleman is forgoing overseas as of now. She will check in on her restaurant, Mellow Mushroom, which she part-owns with Beard and Tom Wallace, the father of Emery Wallace, a former college teammate at the University of Maryland. 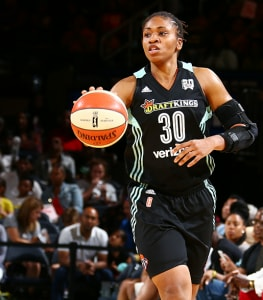 During Coleman’s rookie year with the Washington Mystics in 2009, Beard was a veteran on the team. Beard is in the Philippines leading basketball clinics with the Bureau of Educational and Cultural Affairs of the U.S. Department of State. When she returns soon, she’ll jump into an internship with a venture capital firm in San Francisco. Six years ago, when Coleman was scouting a franchising opportunity, it only made sense that she teamed up with Beard. It was with the help of Tom Wallace that Coleman secured the idea for a franchise. What also drew Coleman to Mellow Mushroom is that each franchise has its own psychedelic, ’70s feel to it, but there are no two that are the same. While Coleman and Beard are in-season playing for their respective teams, they count on Tom Wallace to oversee Mellow Mushroom. Besides keeping up with the business, Coleman is working on building her Rolodex and expanding her mind. But Coleman did get a chance to get back in the classroom briefly last spring. 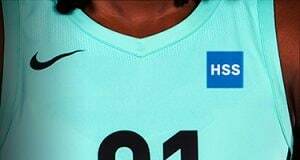 The 31-year-old attended Harvard Business School: Crossover Into Business Program, which is designed for professional athletes to cultivate their business acumen. This offseason, Coleman will also have her head back in the books, prepping for the Graduate Management Admission Test. Business school is one of her next endeavors — it’s just a matter of when. She’s also contemplating opening up a second franchise soon.